According to the Inquirer in an article published June 2018, the 19124-zip code (Frankford, Juniata Park, Crescent Ville) recorded a jump in fatal overdoses of 155.6 percent, from 36 in 2016 to 92 the following year. Each family and each family member is uniquely affected by the individual using substances including but not limited to having unmet developmental needs, impaired attachment, economic hardship, legal problems, emotional distress, and sometimes violence being perpetrated against him or her. For children, there is also an increased risk of developing a SUD themselves (Zimic & Jakic, 2012). The studies of families with SUDs reveal patterns that significantly influence child development and the likelihood that a child will struggle with emotional, behavioral, or substance use problems (Substance Abuse and Mental Health Services Administration [SAMHSA], 2003). The negative impacts of parental SUDs on the family include disruption of attachment, rituals, roles, routines, communication, social life, and finances. UD will utilize Family therapy as well as the evidence-based family treatment Community Reinforcement And Family Training (CRAFT) which has demonstrated its effectiveness in increasing the rate at which abusers enter treatment (Roozen, de Waart, & van der Kroft, 2010). The mentorship program will be divided into groups according to age and gender, but there will be a time and space to allow co-ed collaboration. Males between ages 13-18 will have an opportunity to voluntarily be a part of “Om-A-Hero.” This group will allow for the boys to form groups, guided by an adult mentor to engage in topic-driven discussions around social issues, personal and group affairs in a way that can be helpful in decision making and problem-solving. This group will allow for the girl to form groups, guided by an adult mentor to engage in topic-driven discussions around social issues, personal and group affairs in a way that can be helpful in decision making and problem-solving. 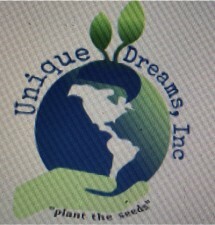 Unique Dreams, Inc(UD). is a COMMUNITY-BASED NONPROFIT 501c3, developed to provide therapeutic, educational, recreational and mentorship programs and services to youth and families while incentivizing the structural plan to increase engagement in the available services and programs. "1 Team; 1 Dream; Saving A Community,"